What is included in a website monthly maintenance program? Here’s an important question: Who updates and maintains your company’s WordPress website every month? For some, that’s an easy answer and for others it’s an overwhelming question. When you work with Enhanced Web Presence, you’re given 3 options: You handle it, we handle it, or we’ll train you. Choosing EWP to handle it means you’re given peace of mind that your website will be secure and up to date with the Monthly Management Program. 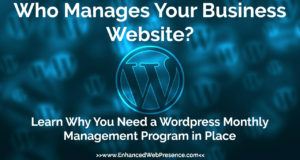 So, What is the WordPress Monthly ManagementProgram? Enhanced Web Presence’s Monthly Maintenance Program takes away the hassle or stress of running a business website. Many small businesses are too busy to deal with updating their website content, or keeping software up to date. 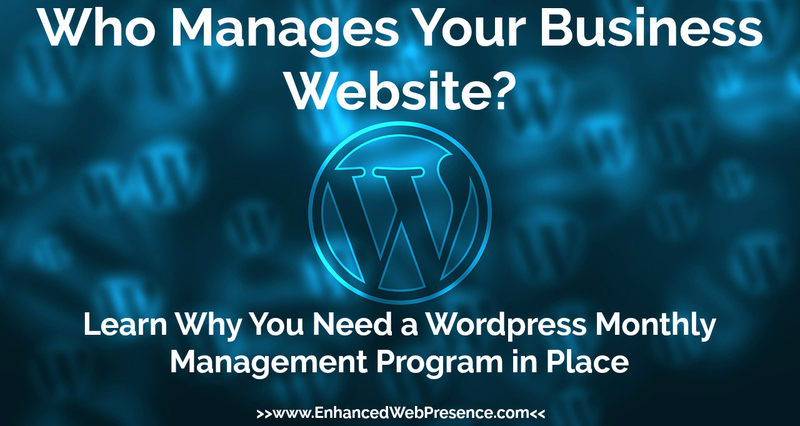 While EWP is happy to train you on how to use WordPress, most clients seem prefer to not even touch their website for fear of messing something up. Thus, the Monthly Maintenance Program was created to take these chores off of client’s busy hands. This program handles all website updates and edits you might need. Plus it includes top of the line security from Sucuri to keep your site safe and protected against vulnerabilities and attacks. What does the Monthly Management Program Include? Who is the monthly maintenance program right for? Those who do not want to update the technology and plugins themselves. Businesses who change their pricing, promotions or product offerings. Anyone who want to switch out videos and/or images for photo-sliders, widgets, backgrounds, etc. The Monthly Maintenance Program is available for $60. Does your company need more than one hour of edits per month? The Monthly Maintenance Plus Program offers all the features of the standard program, plus an extra hour of edits. This program is offered for $95. Please note: The Monthly Maintenance Program requires a one year contract, due to the security features implemented. The fee can be paid monthly or prepaid for 6 or 12 months. Is the Monthly Maintenance Program right for your small business? 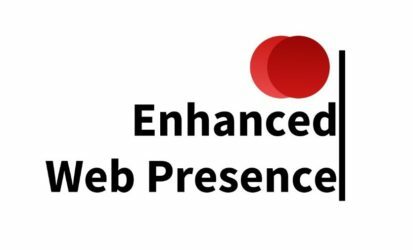 Contact Enhanced Web Presence now to sign up and start protecting your website today!